____________________This ground-breaking book from award-winning author MATT WATKINSON reveals the fundamental, inseparable elements behind the success of every business. 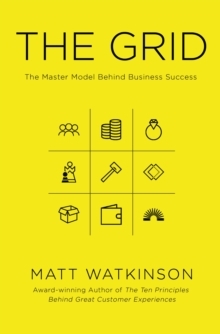 The Grid provides the mental scaffolding to help you:* Evaluate and refine product and service ideas* Reduce risk by considering the broader impact of strategic decisions* Identify the root causes of business challenges* Anticipate the impact of changes in the market and turn them to your advantage * Collaborate more effectively across teamsCombining practical guidance with real-world examples, The Grid will bring clarity and confidence to your business decision-making. 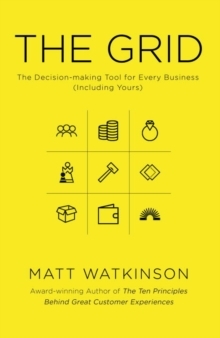 ____________________'The Grid provides you with a simple way to look at the complex system which is your business. 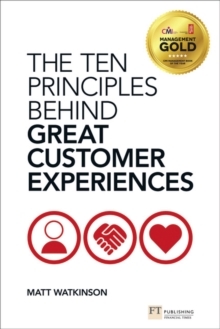 With the possible exception of Warren Buffett, everyone needs to read this book.' RORY SUTHERLAND, VICE CHAIRMAN, OGILVY GROUP 'The Grid provides a systematic framework for looking at virtually all the critical aspects of your business, and maybe more valuable, at how each affects the others. It'll be a rare reader who doesn't come away with fresh, useful insights into his or her enterprise.' WALTER KEICHEL III, author of The Lords of Strategy'Matt Watkinson distils strategic know-how into nine ingenious perspectives and, with the use of clever examples, shows us how to apply this technique of thinking to any business problem or market opportunity. An extraordinarily powerful book.' DR JULES GODDARD, author of Uncommon Sense, Common Nonsense'The Grid presents a unique, joined up approach to decision-making, revealing both the holistic nature of business and all the key elements a business must consider.